Liberty Lines operates ferry services in Aegadian Islands, Sicily, and The Aeolian Islands. You can compare prices and times for Liberty Lines and find the latest special offers to help you get the best deal. With Liberty Lines, you can book ferries to Alicudi, Favignana, Filicudi, Ginostra, Levanzo and more. The most popular crossing is Favignana (Aegadian Islands) to Trapani (Sicily) with 14 crossings daily. Departures are available throughout the day between 7:10am and 8:05pm. 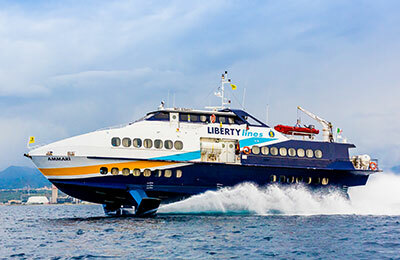 Liberty Lines operates 25 high-speed vessels including ferries, catamarans and monohulls. The majority of ships in the fleet can carry over 200 passengers, and have a high standard of onboard facilities. Each ship has air-conditioned rooms, TV, music, reclining seats and an onboard bar serving refreshments and snacks. The fastest vessels can reach speeds of 36 knots. 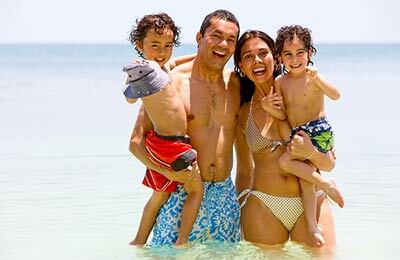 So, whether you choose the Favignana Levanzo ferry, the Lipari Ginostra service, or any other Liberty Lines sailing, you're bound to find a great deal with AFerry! How long before departure should I arrive for Liberty Lines?